Apple on Tuesday announced the invitation-only event at which it is expected to debut its next-generation iPhones, and it’s to be held on Sept. 10, just as AllThingsD said it would. The event is to be held in Apple’s town hall at its Cupertino, Calif., headquarters. 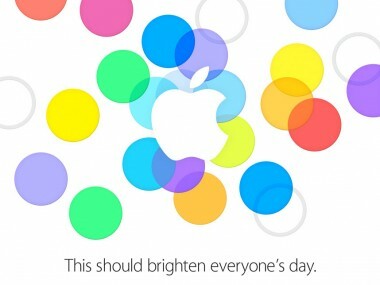 Not much for Apple kremlinologists to work with, though, taken together with the colorful illustration emblazoned on the invite, it could be viewed as a hint about the mid-end iPhones the company has been working on, which will reportedly be offered in a number of different colors. Apple’s Sept. 10 event is also expected to showcase a next-generation, high-end iPhone, the iPhone 5S. That device is likely to boast a faster chip and generally improved innards, a tweaked camera with dual-LED flash, a new gold color variant and possibly a fingerprint sensor. Also presumably on tap for the event: An update on iOS 7, the latest iteration of Apple’s mobile operating system. That OS has been in beta for months now, but is nearing public release, perhaps with a few as-of-yet unannounced additions. Apple shares are trading up 1.3 percent on news of the event.